Despite some conflicting reports earlier this year, Lance Bass says *NSYNC is still reuniting to receive their star on the Hollywood Walk of Fame! The 38-year-old former boy band member recently explained that the group will all be getting together to accept their star in the next few months. “Yeah, we’ll be getting back together in a few months when we get our star on the Hollywood Walk of Fame. We’re just planning that celebration right now. It’ll be really fun!” Lance told InStyle. Back in February, Lance said the group would be reuniting on the Walk of Fame but the band quickly shot down the rumors on their Twitter. Only time will tell if the reunion will happen but our fingers are crossed! 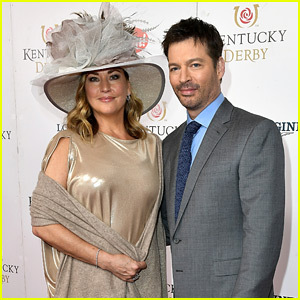 Harry Connick Jr. hits the red carpet at the 2017 Kentucky Derby with his wife Jill Goodacre on Saturday afternoon (May 6) in Louisville, Kent. The 49-year-old singer performed an under-stated version of the National Anthem at the piano before the races and you can watch the video below! 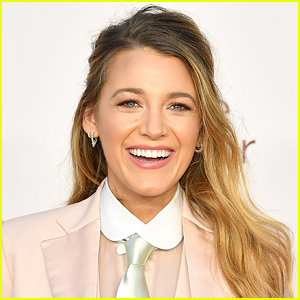 Some of the other celebs in attendance at the sporting event included Jeff Bridges with his wife Susan, Beau Bridges and his wife Wendy, Laura Bell Bundy, Carson Kressley, Joey Fatone, and The Voice winner Jordan Smith with his wife Kristen. We’re sorry to tear up your hearts with this news, but *NSYNC has clarified that they do not actually have a big reunion or new music planned. The rumor mill kicked into high gear after Lance Bass revealed that the former boyband would be celebrating their 20-year anniversary by reuniting to receive a star on the Hollywood Walk of Fame, and dropping a vinyl re-release of their 1998 Home for Christmas album. Joey Fatone also commented on the news, along with Lance himself. Some news to lift your spirits up, though: Lance also shared that the group keeps in contact every day via a group text thread. 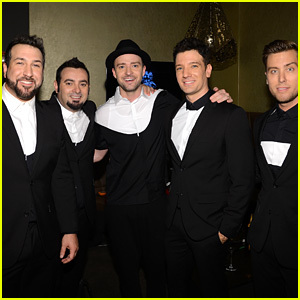 Here’s something to look forward to this year – *NSYNC is going to reunite at some point this year! Lance Bass revealed that the former boy band is going to celebrate their 20-year anniversary by reuniting to receive a star on the Hollywood Walk of Fame. 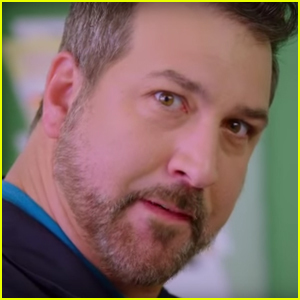 AwesomenessTV’s original series Foursome is throwing it back with a pretty special guest star – Nsync‘s Joey Fatone! In the upcoming episode, the cast channels their inner boy band to get through the day while actual former boy band member Joey plays a janitor! Foursome stars social influencers Logan Paul, Jenn McAllister and Rickey Thompson as well as Cameron Moulene, Meghan Falcone and Brooke Markham. The new episode of Foursome will be available to stream tomorrow (January 18) on YouTube Red! Chris Pratt got major support from his wife Anna Faris. The cute couple stepped out onto the red carpet as a unit at the premiere of his new movie Passengers held at the Westwood Village Theatre on Wednesday evening (December 14) in Westwood, Calif. 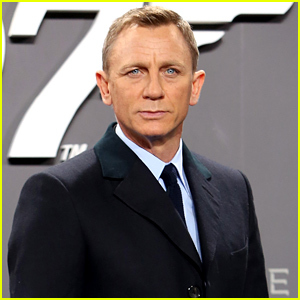 They were joined by Chris‘s co-stars Jennifer Lawrence and Michael Sheen (who brought girlfriend Sarah Silverman). 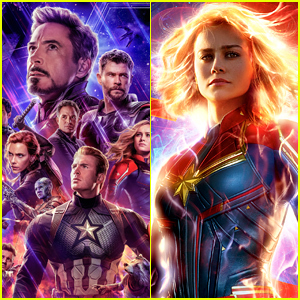 Also in attendance was Rachael Leigh Cook, Jeanette McCurdy, Kim Raver, Joey Fatone, Rachel Roy, Dania Ramirez, and Keegan Michael Key. FYI: Anna is wearing a Reem Acra dress, Jimmy Choo shoes, and Le Vian jewelry. Rachael is carrying a Vince Camuto clutch. Jennette is wearing a Colton Dane outfit.